Drawing on her extensive experience in complex litigation, technology and business, Tara helps her clients leverage and defend their intellectual property inside and outside the courtroom. With a keen strategic view, and relentless attention to details that matter, Tara is a powerful advocate for each client she serves. Tara focuses her practice on intellectual property and high-stakes business litigation. She has secured victories in district and appellate courts and arbitrations across the country, and negotiated multimillion dollar, client-favorable settlements in matters involving a wide spectrum of technologies, including medical devices, financial systems, radiation therapy systems, dental treatments, glass coatings and consumer goods. Since 2009 Tara has served as general counsel for the Receiver in the $190 million Trevor Cook Ponzi scheme, the second-largest fraud in Minnesota history, where she is leading the effort to repatriate assets from around the globe that were stolen under the guise of an international investment program. She also served as general counsel in the Inter-Mark receivership, where she oversaw the return of $26 million to individuals around the world. Tara brings first-hand business experience to every matter she handles, having worked for a global consulting firm before becoming a lawyer. 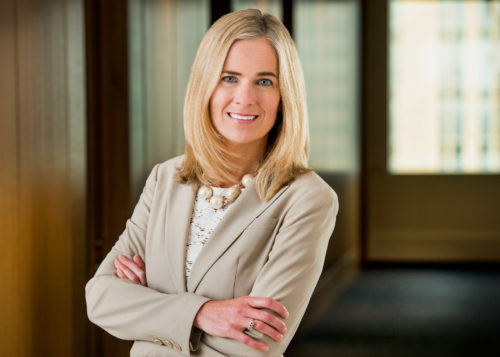 Prior to joining Carlson Caspers, Tara clerked for the Honorable Donald P. Lay of the United States Court of Appeals for the Eighth Circuit and practiced with an international law firm based in Chicago. Tara is recognized among the Best Lawyers in America® and Super Lawyers® and has earned the Martindale Hubbell AV Preeminent® rating from her peers for the highest level of professional excellence. She is named among the Top 50 Women Super Lawyers® in Minnesota, Top 100 Super Lawyers® in Minnesota and has twice been named among Minnesota Lawyer’s Attorneys of the Year (2016 & 2017). Tara also is a Fellow of the American Bar Foundation and the Litigation Counsel of America. She is featured on the cover of the Women in Law 2017 Minnesota Edition, Attorney at Law Magazine, celebrating women attorneys who exemplify excellence in the Minnesota legal profession. 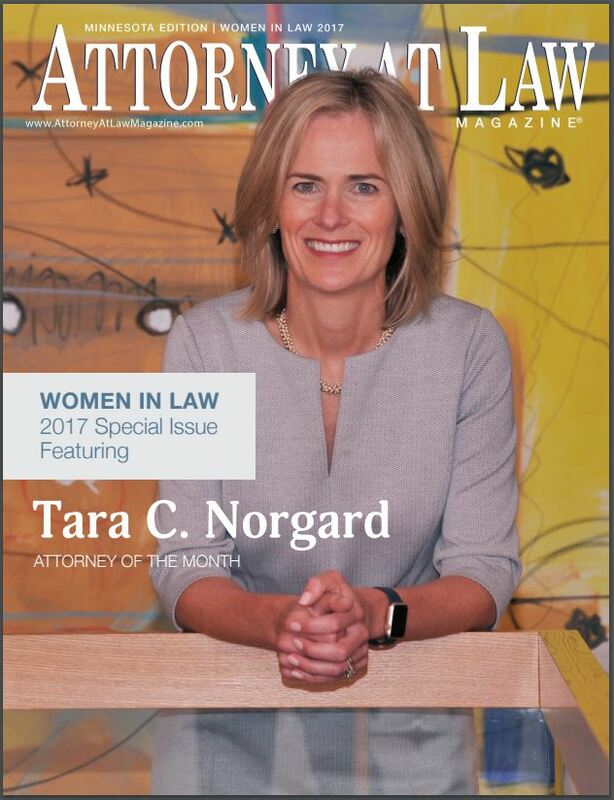 In 2018, Tara was honored with the prestigious Diversity & Inclusion award from Minnesota Lawyer. In the legal community, Tara is actively involved in the Federal Bar Association. She served as President of the FBA’s Minnesota Chapter in 2016-17 and has lead numerous initiatives with the Chapter and the District Court during over a decade of service on the Board. At the national level, she currently chairs the FBA’s Special Committee on Diversity & Inclusion, where she is developing a multi-year strategic plan for the organization and its 100+ chapters. Tara has also chaired and served on Merit Selection Panels for the United States District Court for the District of Minnesota and the Court’s Markman Study Group. Tara is the firm’s chief marketing partner and co-founder and co-chair of its committee on diversity and inclusion, which is committed to ensuring that people of diverse backgrounds and beliefs are involved in all levels of the firm, client relationships, and the community as a whole. Outside of her law practice, Tara works with Friends of FANA, Minnesota, a non-profit organization established to unite Colombian children of all ages with adoptive families. She also serves on the Board of Trustees for Sunny Hollow Montessori.